The worst thing that Peterborough Council did was move the market from the middle of the city in the sixties. Every well known town and city still have markets in the centre, or as close as possible. Not the goons on this council though. They completely ruined the heart of the city when it was moved. 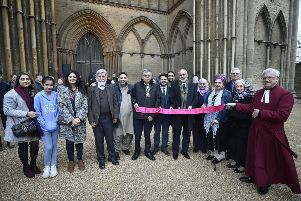 Markets bring more people into the town centres, and especially here, it would give Peterborough’s ‘Jewel in the Crown’, the Cathedral more focus, because, lets face it, it’s one of the country’s hidden gems. Instead of our city centre, the pathetic fountain area, being as dead as a dodo, re-invigorate it by bringing the whole market back, like in Northampton, Leicester, Norwich et al.